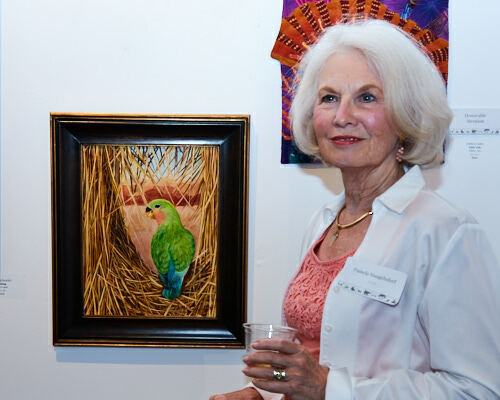 The West Valley Arts Council (WVAC) recently sponsored the “Tails, Scales & Feathers” exhibit featuring “animalistic” art of any medium showcasing all types of animals with tails, scales, feathers, claws, paws, etc. 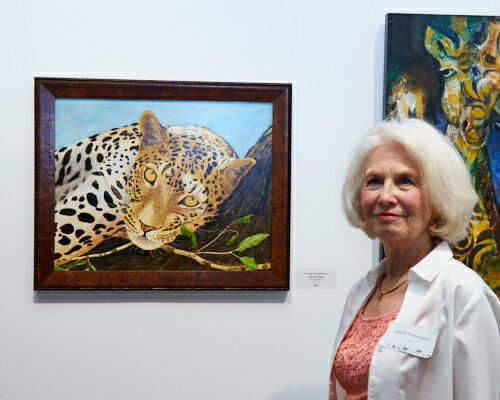 I was fortunate to have two of my paintings (After the Hunt, and Love in the Desert) juried into the show which opened on June 2 with an artist’s reception at the WVAC gallery in Surprise. The exhibit runs through July 14 and is a perfect way to support the arts in the West Valley. So, please drop by and take a cool stroll through the gallery and enjoy the wonderful artwork. 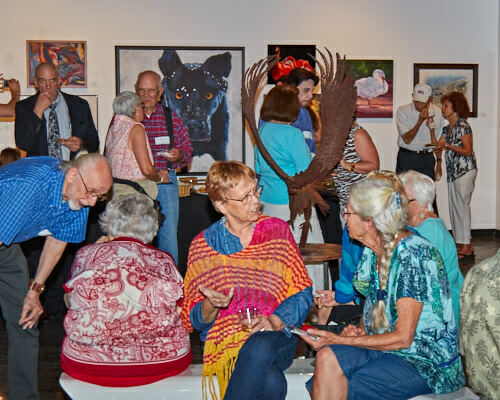 Part of the overflow crowd attending the artist’s reception on June 2. WVAC in Surprise, Arizona is the only regional organization that focuses on all disciplines of the arts. It has been central to creating what is recognized as a “high quality of life” for West Valley residents, and is the only multi-disciplinary arts organization of its type and scope in the Valley. For more information about WVAC and show hours, visit their web site at: http://www.westvalleyarts.org/. Teaser! Look for a future post about my painting “Bandit of Cranberry Lake” which was juried into an upcoming exhibit sponsored by the Arizona Art Alliance…more information to come.